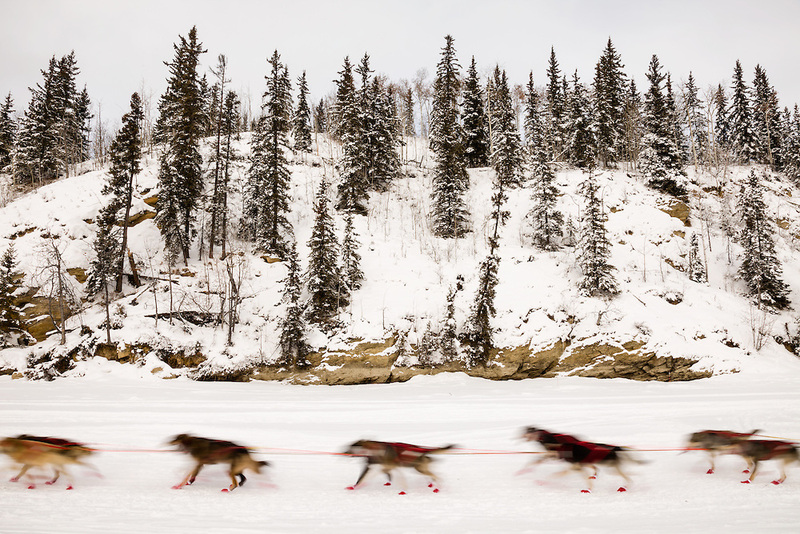 In-camera motion blur of musher Anna Berington's dogs competing in the 43rd Iditarod Trail Sled Dog Race on the Chena River after leaving the restart in Fairbanks in Interior Alaska. Morning. Winter.